This is a touchy topic in Futsal because short of the international level, referees typically do not permit players to leave their feet to play the ball. With a hard court surface being used, it means that players that fall down will experience more force and are more likely to be injury. The rationale was simple. Keep players safe. Before you can go on to understand the rules, you must understand the history behind it. 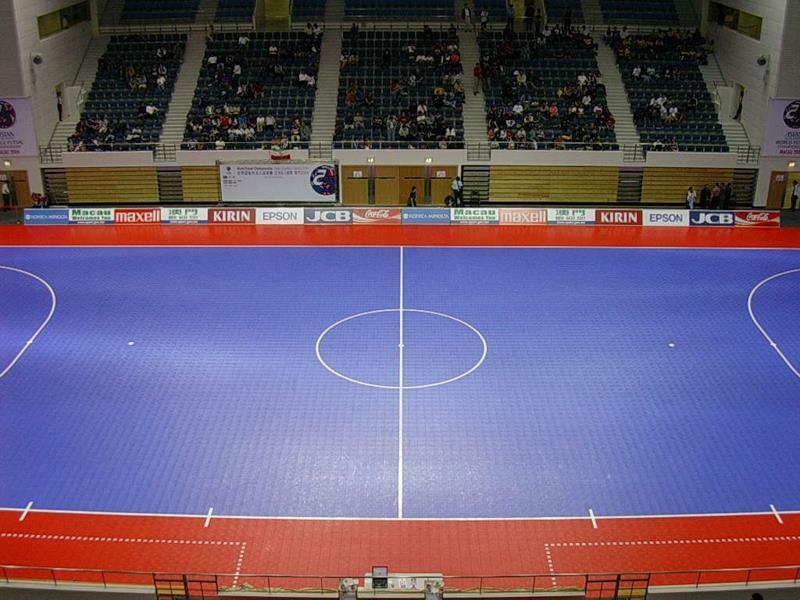 2010 was a seismic year for futsal when FIFA introduced numerous law changes that modified the way the game was played everywhere. Unfortunately, the changes did not filter down to the grassroots level as effectively as might be hoped. There are two key terms to keep in mind. Sliding is the act of playing the ball when no opponent is in playing distance of the ball. Playing distance quite simply means that they are able to play the ball and is often defined as one metre or one yard. There is no offence for sliding. Popular reasons for sliding are to keep the ball in play or to save a shot on goal. Slide tackling is challenging for the ball when an opponent is in playing distance of the ball. If the referee deems this dangerous, it will be considered an offence and penalised accordingly. If contact is made, a direct free kick is awarded (or a penalty kick if the offence occurs inside the offending team’s own penalty area) and an accumulated foul recorded. If no contact is made, an indirect free kick is awarded for playing in a dangerous manner. The slide tackle should not be deemed dangerous by the referee. If the slide tackle forces a player to jump to avoid it or trip over it while in natural movement, it’s dangerous. The tackle makes no contact with any player at all. The FIFA Futsal Laws of the Game does not specifically state any of the above so slide tackles should be governed much like they are in football and much like the guidelines I described. However, this is rarely seen on local courts depending on your area but be aware of what the league enforces and be consistent.